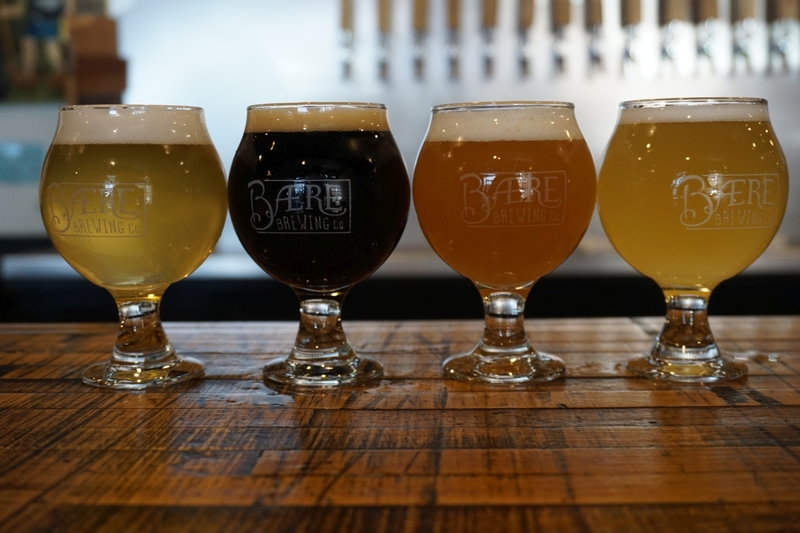 Baere was one of the most recommended breweries that I visited in my trip. Some said it was a must visit spot. I thought the beers were good but they didn’t particularly blow me away. 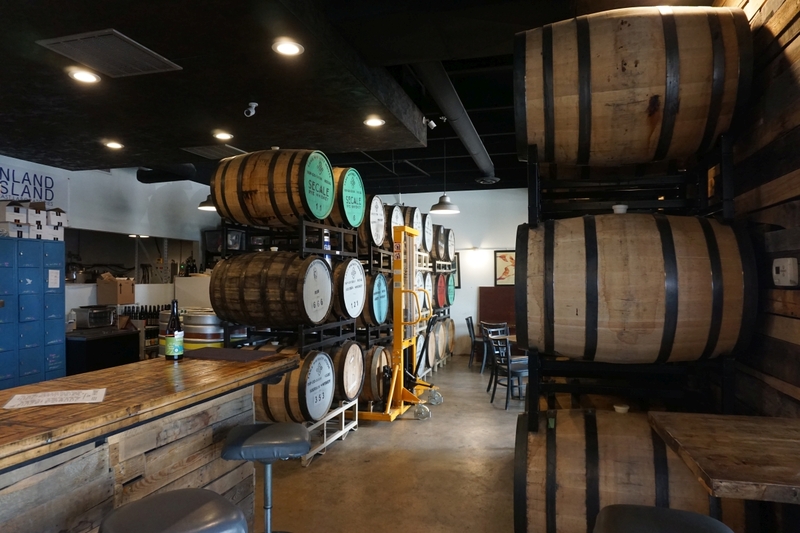 They had a nice tasting room in a strip mall with good air conditioning inside and plenty of outdoor seating, though it was too hot to sit outside when I visited. I started with their saison, which was good. The beer was dry and spice forward with cracker notes and a lingering bitterness. It was a bit bitter for the style but solid. I prefer a different style of saison but it was nicely done. The Belgian Single was solid with notes of light orange and light funk. The beer was subtle and lightly bitter on the finish. The Grisette was my favorite of the bunch. It had bright notes of lemon and grapefruit with mild funk from the brett yeast finishing with light oak. This is one of the more impressive brett beers I have had in a while. The porter was good and roasty with mild bitterness and somewhat syrupy. It is fairly standard for the style. The kolsch was light and creamy with notes of grape and corn. It was average for the style. The pale ale was super dry with nice mix of resin and tropical fruit. A solid pale but it could have used more explosive hop aroma. 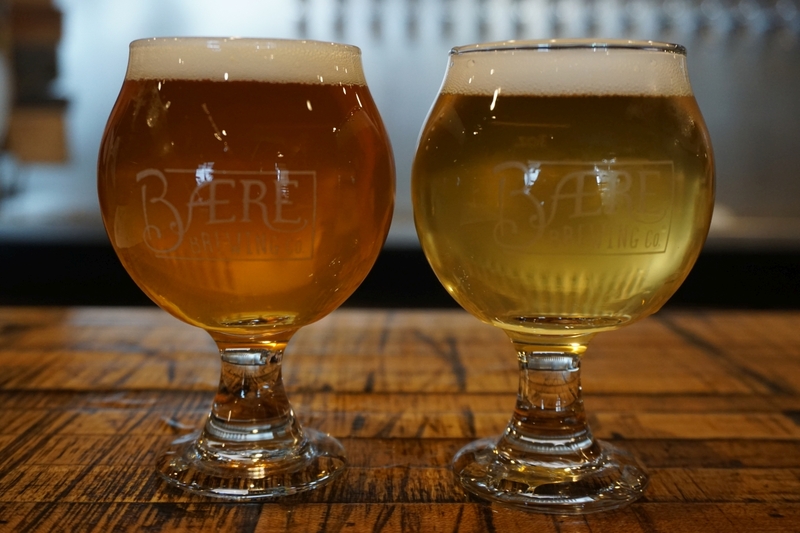 Baere was overall solid though the only thing that stood out to me was the grisette. 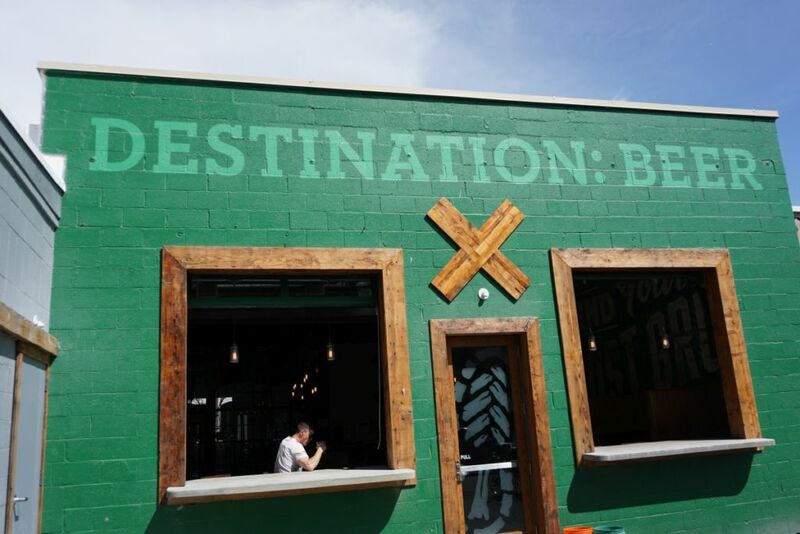 It is a good brewery but not something I would go out of my way to return to. 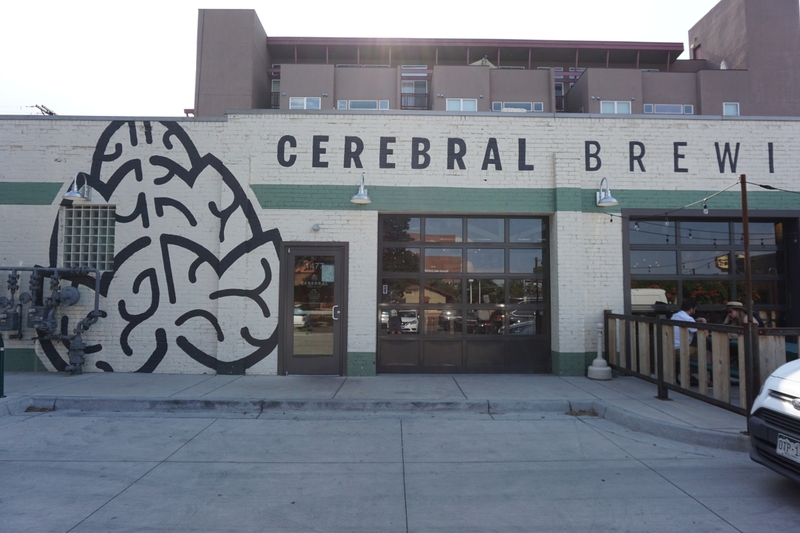 Cerebral had mostly hazy IPAs and I tried quite a few. 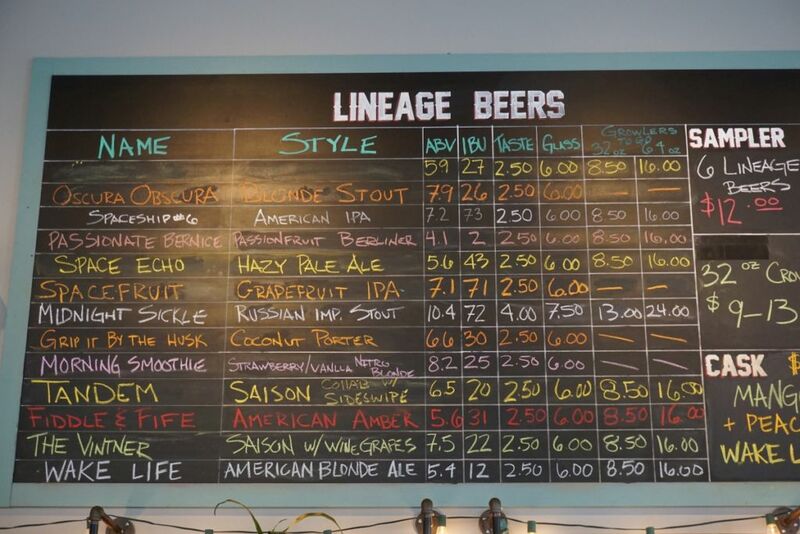 They have a good sized tasting room and a solid line up of hazy beers including a few available in cans. For hazy beers they were fairly average though still good. The sours with lactose were much more impressive. 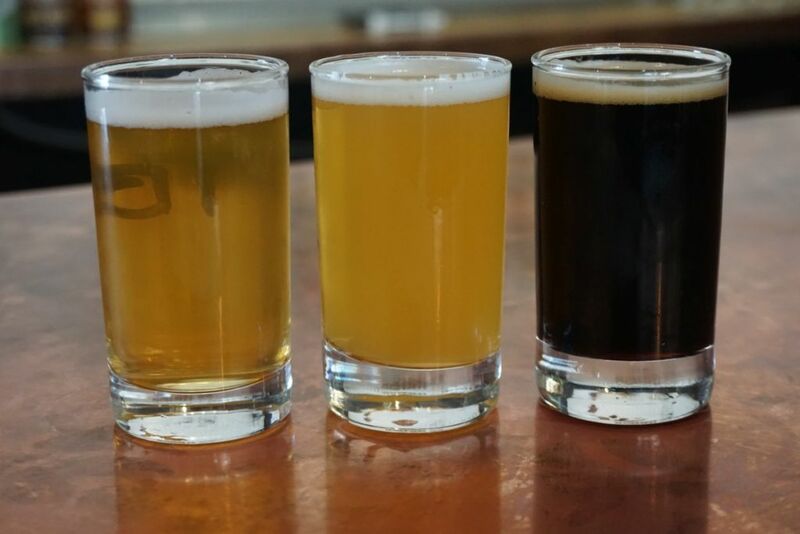 I tried a flight of six beers of which most were IPAs with a few sours. I started with the mango coconut lime berliner weisse with lactose. It was easily my favorite of the bunch. The beer initially tasted to me like peach pie with light tart and notes of cinnamon. The lactose gave it a creamy body without getting overly sweet. Their flanders red style sour was solid with notes of caramel and red wine vinegar and a strong tart finish. It wasn’t the best but a solid example of the style. The Tangerine Stuff IPA was bursting with citrus and the fruit balanced wonderfully with the base hops. The beer had nice prominent notes of mango to combine with the tangerine. The last 3 were all hazy IPAs. DDH Strange claw was creamy with tons of hop acidity and a nice burst of tropical flavor. Rare Trait was super flavorful and exploded with notes of tropical fruit and papaya. The Controlled Chaos was the most creamy of the bunch with tons of pineapple flavor. The three hazy beers were all solid, fairly average as far as hazy IPAs go. They are a solid stop if you don’t want to hunt for Weldwerks hazy IPAs. Lineage also has a full kitchen. 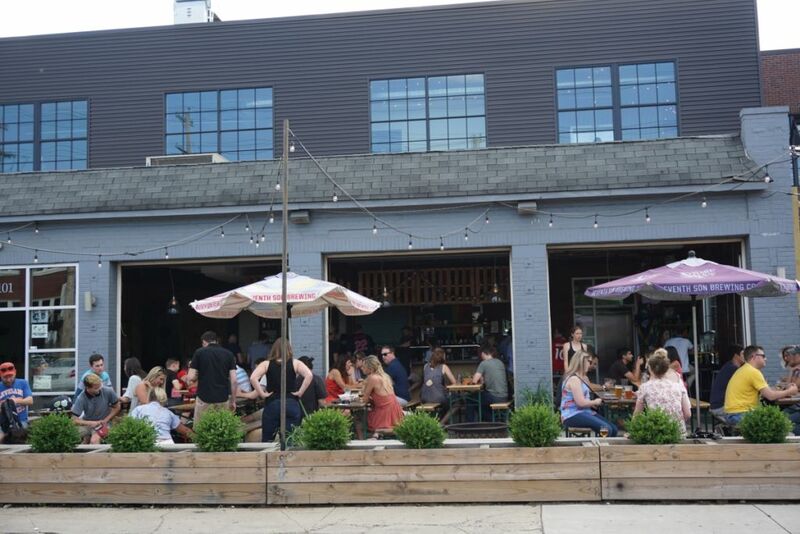 They have a large outdoor area and a fairly sizable indoor seating area near the bar area. 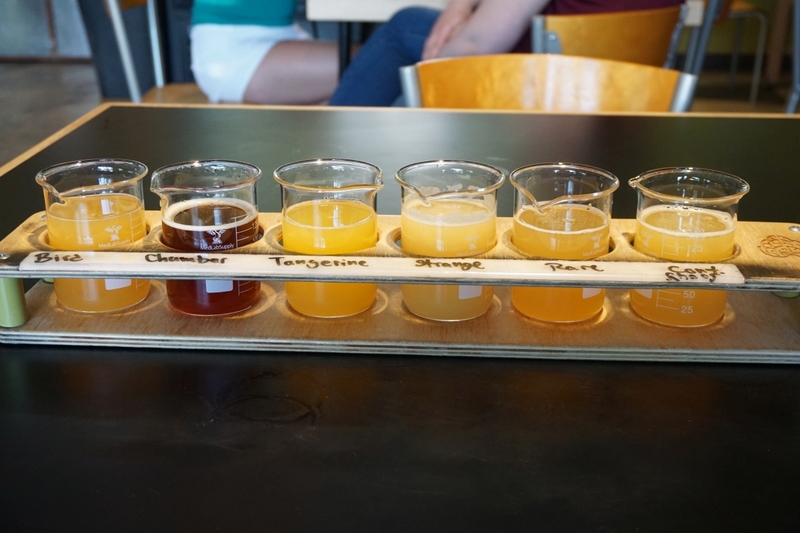 I tried six tasters while I was there. They certainly know how to make a good modern IPA. I started with their standard IPA which had a nice soft body with a dry finish. 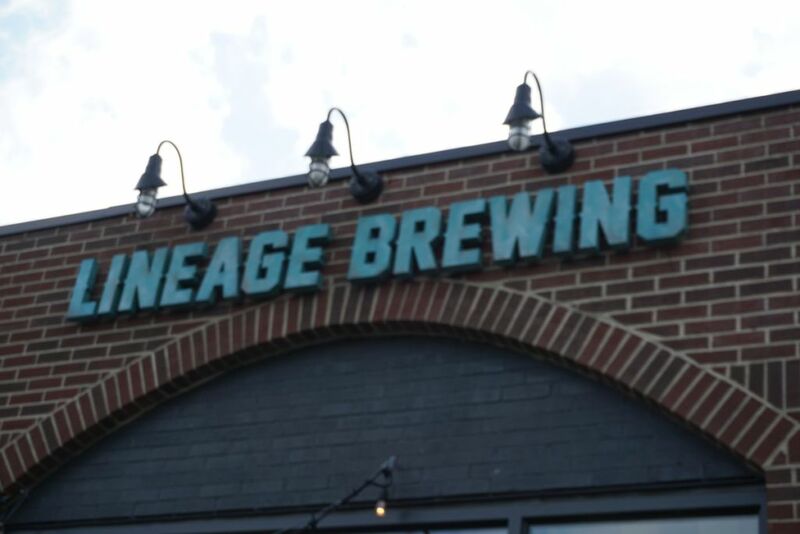 While the beer did not have a ton of hop aroma, it had a resinous hop character to it that balanced nicely with light herbal hop notes and cracker malts. Compared to this, I much preferred the hazy pale which was nice and soft and bursting with flavor of citrus, pineapple, and tropical fruit. This was a very nice hazy pale. The Saison was nice and fruity with notes of white wine, mild herbal hop character, and a nice dry finish. This was an excellently balanced and delicious Saison. The Imperial Stout was thick and sweet with prominent flavors of molasses and light dark chocolate and date notes. While well-made, it was not as impressive as the previous two Imperial stouts. 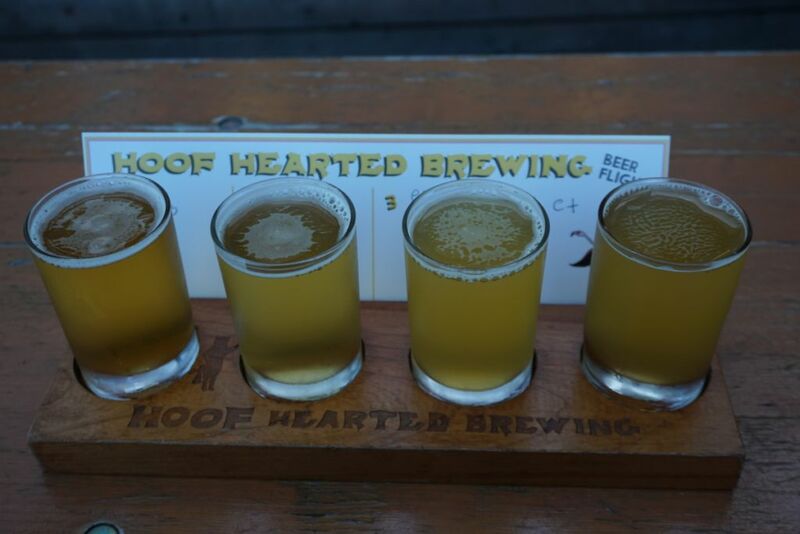 Hoof Hearted was my fourth stop of the day so I only had four tasters. The indoor area was fairly large and loud so I decided to sit outside where it was much quieter. Though they were still generally an enjoyable place to go, they were my least favorite of the four for the day. I started with a farmhouse IPA which had vanilla cake notes for the base with a prominent herbal hop bite. I didn’t find this beer to be particularly hoppy or flavorful but it was decent enough and had a dry finish. The Helles logger was strongly hoppy and far too bitter for the style. The hop flavors were resinous and floral, also not normal for the style. I’m not really sure what they were going for here but it did not impress me. 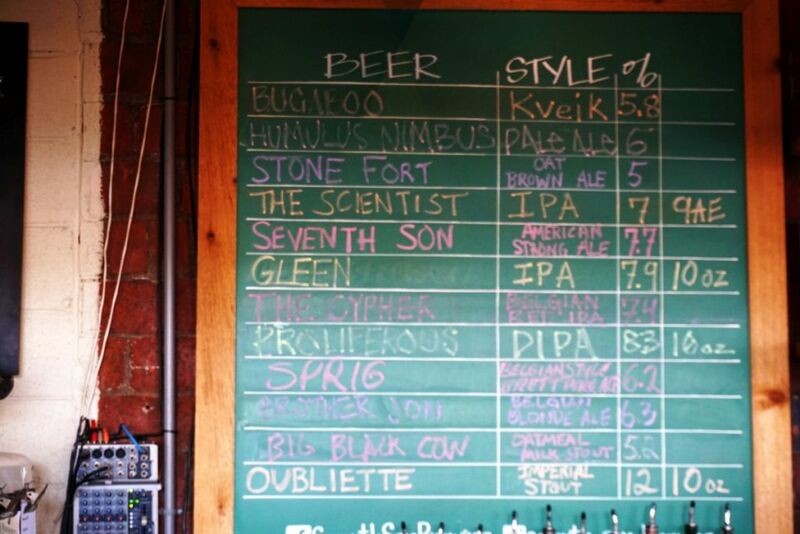 What surprised me and impressed me most was their beer called everybody wants some Denali (hops). It was delicious and bright with notes of citrus, pineapple, and lightly bitter on the finish. My previous experience with this hop has tended to be more herbal so I was quite happy with the flavors they extracted from it. I ended with a double IPA with lactose and vanilla added. Sadly, it was not very hazy so it did not really work that well. The beer was creamy and lightly sweet with mild citrus hop character but compared to the other one, it was not very enjoyable. 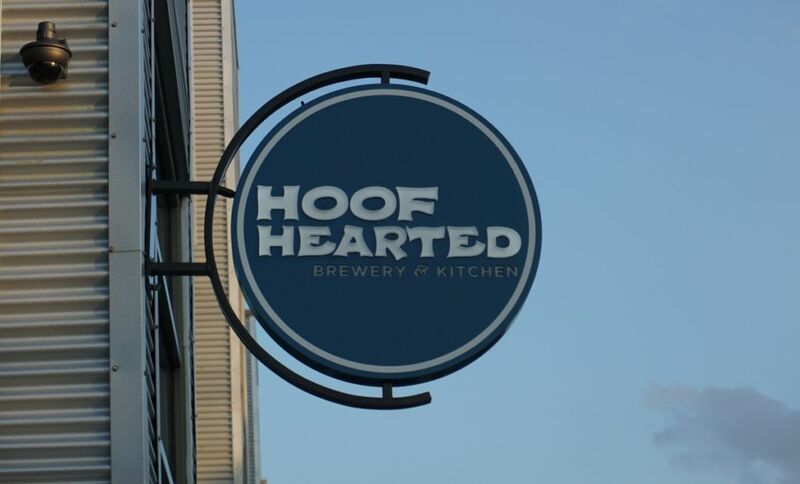 From my brief exposure to the beers at Hoof Hearted I get the impression that they are one that likes to follow trends but have difficulty executing most of the time. Thankfully the DIPA with Denali hops was one beer where they nailed it. 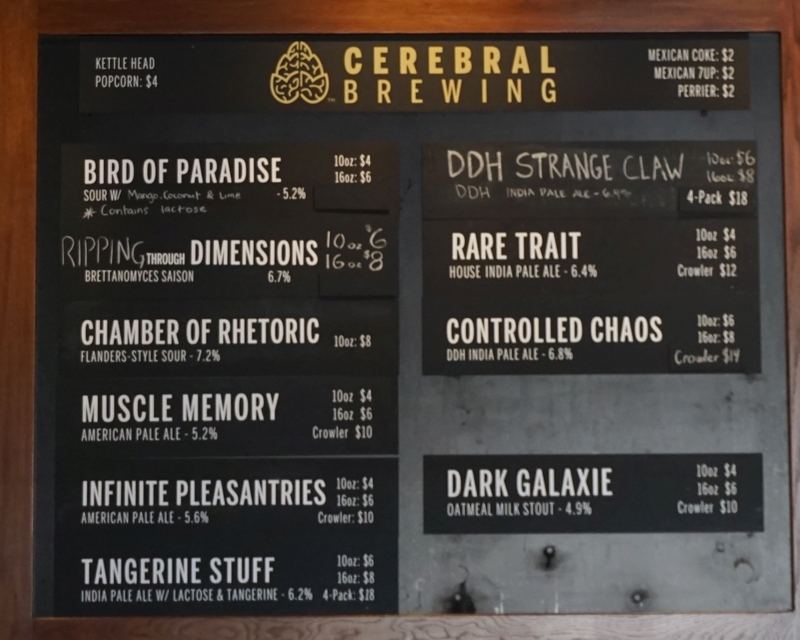 So if you are looking for an excellent hazy IPA, it is still worth visiting to see what they have available. 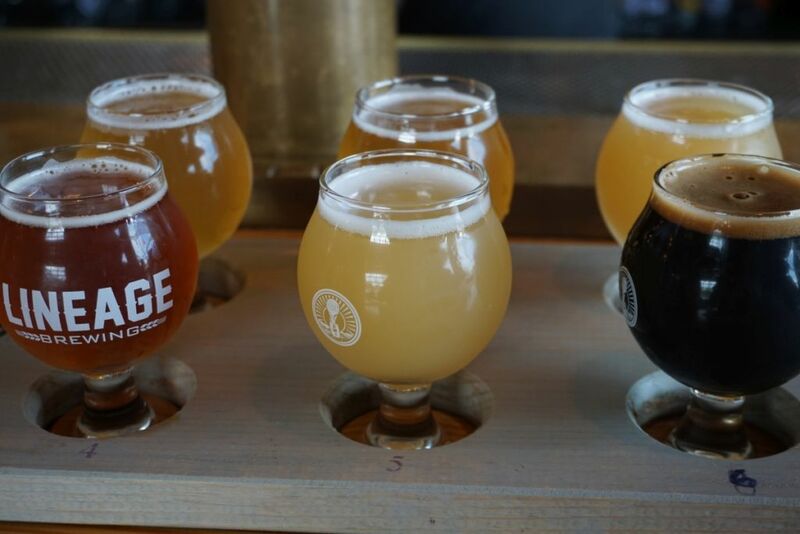 My first stop on my visit was Wolf’s Ridge brewing Company where sadly I was not able to try any Hoppy beers because they had run out recently. The brewery felt more like a restaurant and bar than a brewery but I got the vibe of a proper place that respects good cocktails and knows quality beer. 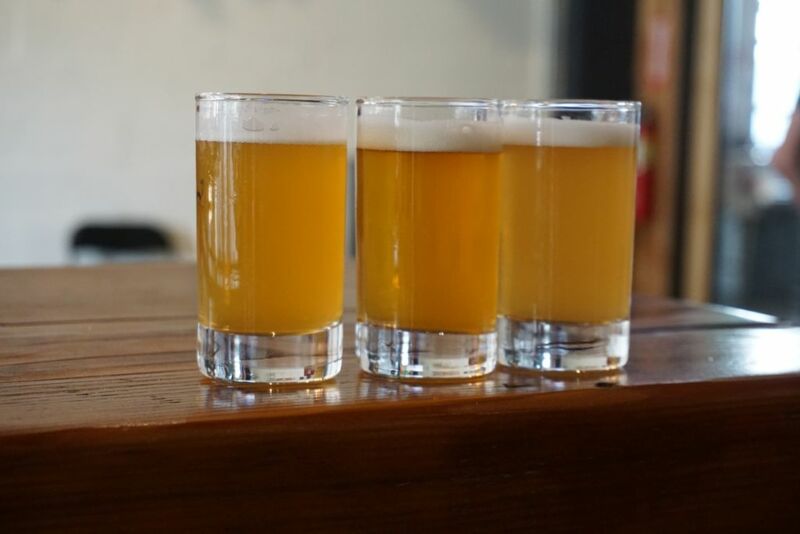 I tried two Saison beers while I was there. The regular version had prominent herbal dry hop character with fairly viscous mouth feel and was under-carbonated. It seemed to focus more on the herbal hop character than on the yeast or the malts. This was not really my style of Saison. The barrel aged version on the other hand was bright with notes of lemon lime effervescence with citrus peel bitterness on the finish. The beer delightfully danced on the border between citrusy and juicy. The barleywine I tried had a nice soft mouthfeel with a fairly thin body and stayed more on the sweet side without being overly bitter. The beer had flavors of caramel and plum with mild rye spice sweetness to finish it off. This definitely one of the better barley wines I have had recently. The coffee milk stout was tasty with strong coffee roast on the nose and flavors blending nicely with burnt toffee, roasted coffee and a smoky finish that lingers on the tongue. While the beer was well done, I found the smoky finish a bit too much for me. I finished with the Imperial Stout which was quite nice and blended nicely with flavors of bitter chocolate, marshmallow, and subtle cherry notes. The beer hid its alcohol quite well and had a nice soft and creamy body. This was quite the excellent Imperial Stout and along with the version at seventh son, was up there as my favorite for this trip. 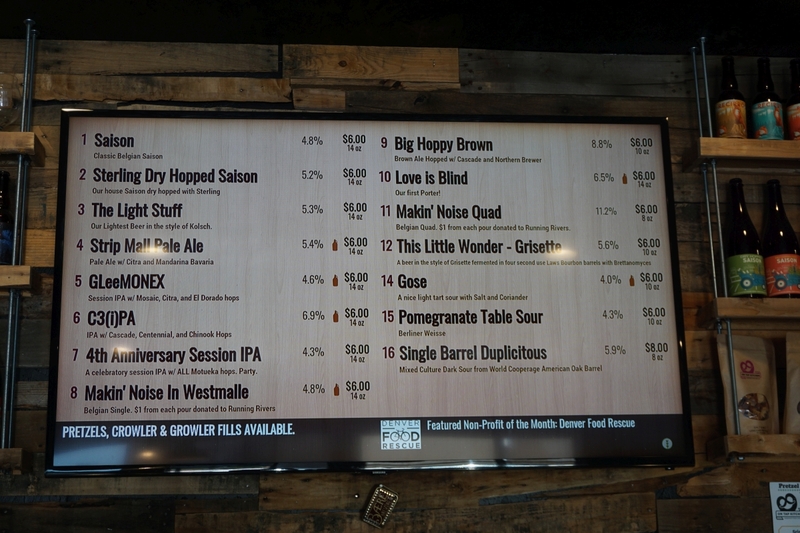 Overall I had some solid beers at Wolfs Ridge although I wish I could have tried some of their IPAs. I ended up bringing some of the Imperial Stout home from my trip and made sure to only give my husband two of the 4 bottles because it has a thick chocolate character to it that I rarely find in my local stouts. 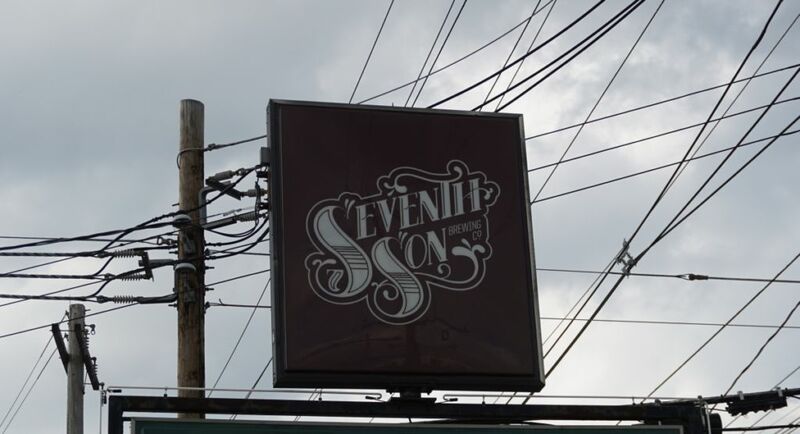 In contrast with Wolf’s Ridge, Seventh Son is much more open and the only food available is with a food truck. They had fairly large amount of seating outside in the sun and a fairly open bar area as well. They had quite the variety of beers on tap so I went with the ones that sounded most interesting to me to get a good sampling. I started with Gleen IPA, which was resinous and had a nice dry finish. The beer had mild notes of citrus hops and white wine. The beer was somewhat subdued in hop aromas but it was nicely balanced and easy drinking. Similarly, the double IPA, though slightly higher in alcohol was just as dry. It had notes of marijuana on the nose and the beer did not have significant noticeable bitterness on the finish or prominent hop aromas. Still I could tell it was excellently made. The Brett pale ale had a cloudy orange color with some mild funk from the Brett. The beer was also super dry and not particularly bitter, showing a nice balance between everything. The Imperial Stout was thick with notes of bitter chocolate, mild raisins, and a mild lingering sweetness. This beer also hid the alcohol quite well and was my other top favorite Imperial Stout of the trip. I was overall impressed with the ability of the Brewers to make such bone dry IPAs. I started with the Golden ale which was crisp and easy drinking with mild fruit. While not particularly flavorful, this was a delicious beer that would be easy to drink pint of. 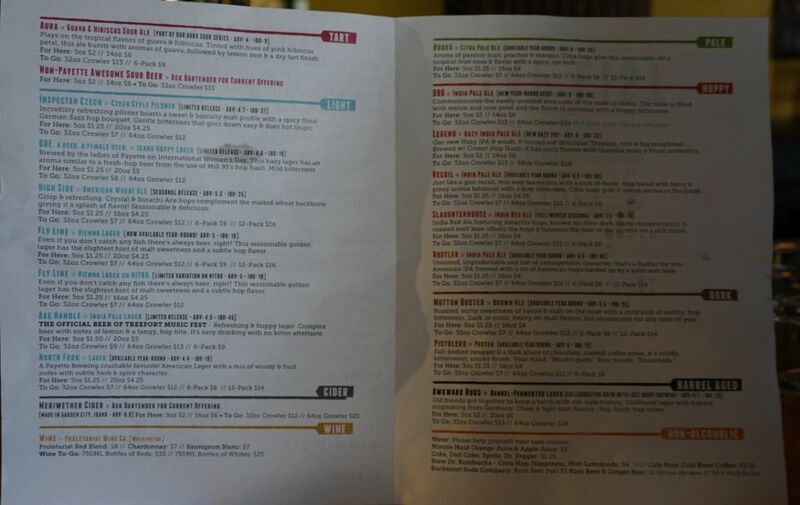 The lemonade stout, milk stout made with lemon zest, was so mild in the lemon department that I would not have known the added any if it was not listed on the menu. It was fairly standard for milk stout and had a nice amount of roast while not being overly sweet. Their first site IPA was strongly herbal with lingering lemon zest character on the finish. While the beer was somewhat soft in body, it was not particularly hoppy or dry and fairly disappointing to me. The second chance IPA, was also fairly lemon forward and while nicely balanced with the pine and bitterness at the finish, it did not have the level of aroma to make the beer particularly appealing. The Saison with sour sop had some light notes of vanilla, mild funk, and a nice dry finish. The beer was overall nicely balanced and had a light fruity character, making it one of the better beers of this brewery. The kettle sour, was creamy and had hints of white cake, though it was not particularly tart. The beer had hints of citrus and guava overall too mild in flavor for me. Overall, I was not particularly impressed by the beers at Lost Grove though the Saison was one beer that stood out as better than the rest. 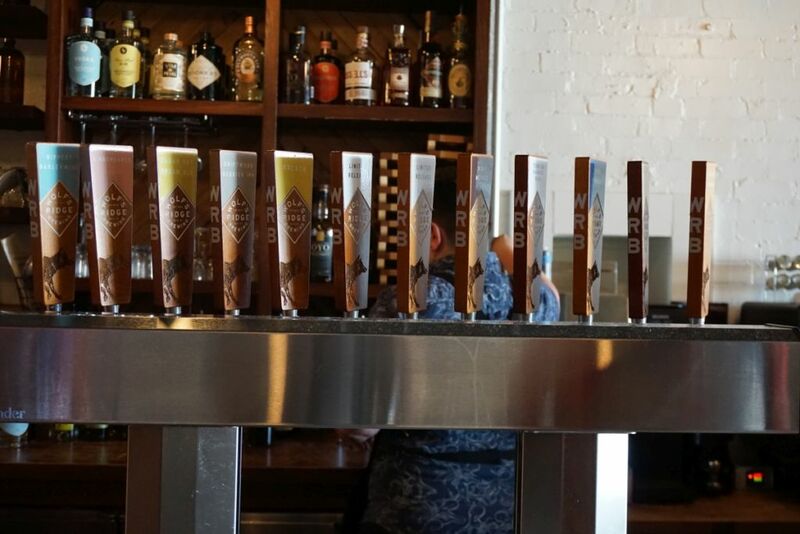 The beers were all fairly middle-of-the-road, nothing to recommend visiting over other breweries in the area. 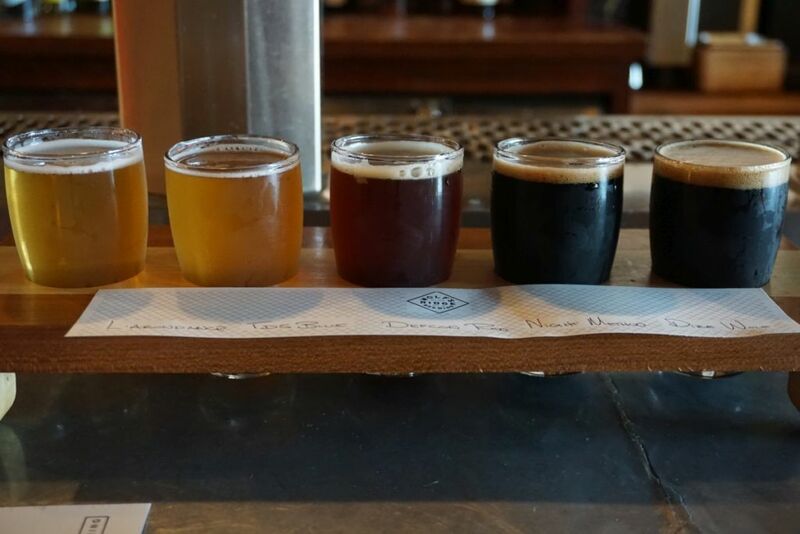 I tried four tasters during my visit to Payette brewing and decided to leave it at that. They had a nice wide open tasting room with fairly expansive outdoor area. The top list was also quite expensive, though I went for what sounded most interesting to me to get a quick taste. The Pilsner was quite light in body and lacking in flavor. Though drinkable, it was not particularly flavorful. The pale ale was easy drinking with fruity hops. Though not bitter, the beer was lacking in hop aroma and did not have the flavor I would’ve expected for a beer highlighting mosaic hops. The Porter was fruit forward and fairly thin with a lingering finish that I did not care for. The Porter was fairly below average. The hazy IPA, was very lightly hazy with notes of tropical fruit and lemon. It was fairly light bodied and light in bitterness with hints of melon and bubblegum on the finish. It was fairly average for a first attempt at a hazy. I can’t even tell from my photo which one was the hazy because none of them is hazy. 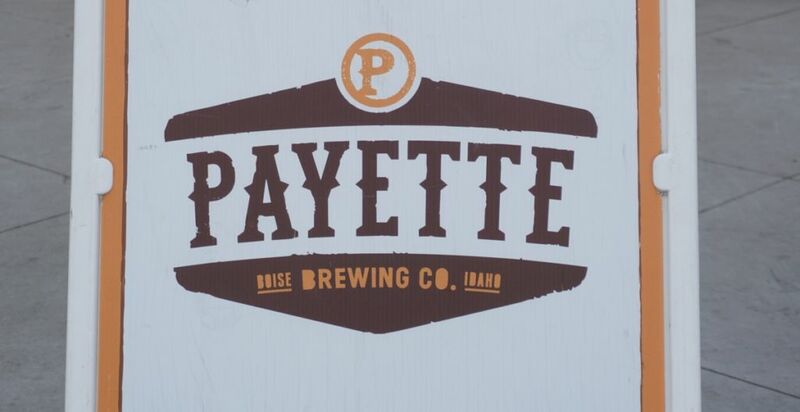 Nothing at Payette that I tried was particularly good or exciting. 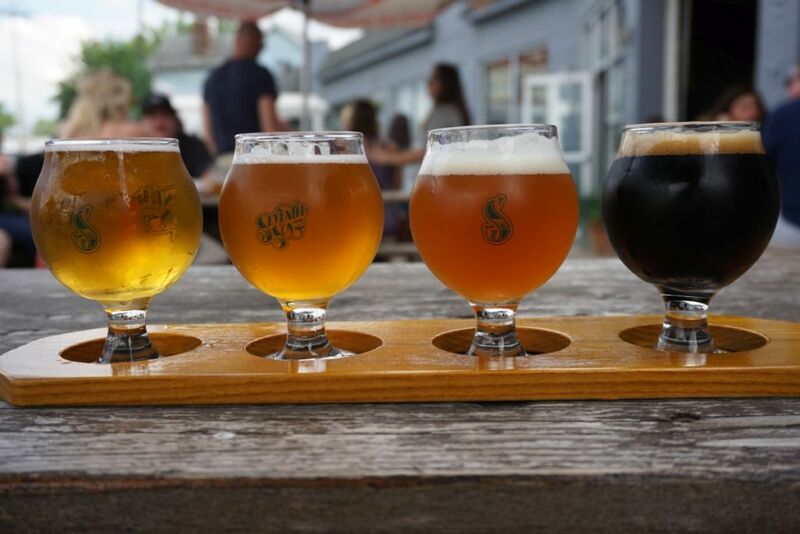 Even if this had been my first stop of the day, I would likely have stopped after these four tasters.